Time for another color challenge. 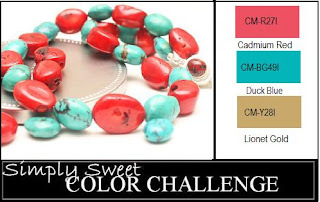 Don't you just love these beads, the colors are just gorgeous! I used these colors and made a Birthday card for my Conner, who turned 7 on Wednesday. 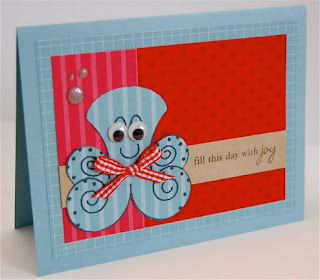 This cute octopus is a free digital download from Lauren Meader's new store. I printed it on some dsp from SU!, added some cute googlie eyes, ribbon, bubbles and a sentiment from PTI's Everyday Button Bits and my card was complete!! Tomorrow is another Simply Sketchy Saturday. TGIF!! You know I love that Octopus!! Just toooo cute Maureen! He is sooo adorable!!!! Love this card Maureen! Awesome job with the challenge!! !